Summer is a time for family fun and creating memories that will last a lifetime. Chief Johnson Unit Chief CAL FIRE Fresno-Kings Unit and Fresno County Fire Protection District. Along with Fresno County Firefighters would like everyone to follow these simple and easy safety steps to prevent an unnecessary tragedy. Too often, firefighters hear people say, “It was just a few seconds.” Unfortunately, just a few seconds is all it takes for a child to drown. Drowning is the leading cause of preventable death in Fresno County for children under the age of five and the second leading cause of death in adolescents and adults ages 15 to 44. Most of these children drown in their own backyard swimming pool, but others drown in buckets, bathtubs, toilets, dog water bowls, canals and ponds. Small children are top-heavy, and they don’t have the upper body strength to lift themselves out of one of these dangerous situations. Even if the child survives the incident, they are often left with permanent brain damage. Drowning and near drowning can be prevented, and you can help! Anyone involved with the supervision of children needs to be aware of the dangers associated with any body of water. Practice Water Safety While On Vacation! 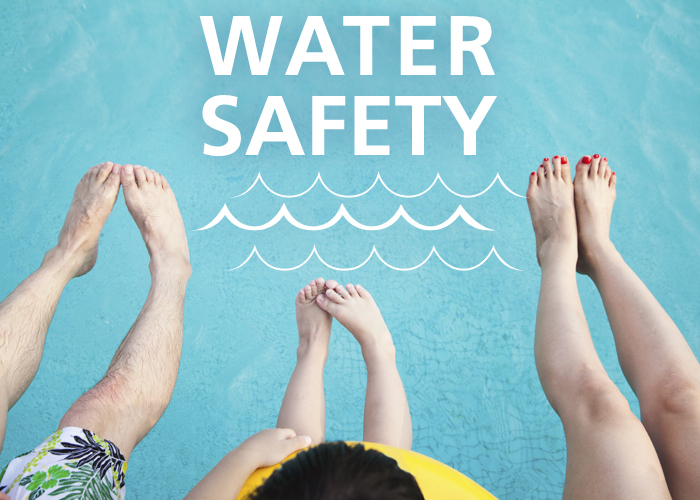 Whether vacationing in Fresno County, staying at a hotel with a pool, visiting relatives or friends who own pools, taking a tubing trip down a river or boating on a lake… water safety must be practiced wherever water is present! Enforce the same safety rules you use at home. Take time to explain the importance of following these same rules to your children. Never allow children to swim unsupervised in a hotel/motel pool: Never assume someone else is watching your child. Check out the pool before you swim: Is the water clean and clear? Where is the deep end? Is there a lifeguard on duty? Where is the rescue equipment, and how is it used? Where is the phone, and can you dial out directly? When staying at a relative or friend’s home, look for possible water hazards (pools, ponds, buckets, bathtubs, toilets, dog bowls, etc.). When boating, wear a Coast Guard approved lifejacket: When planning boating events, make sure to pack a lifejacket for each person. Children are required to wear a lifejacket at all times in a boat in many states. Bring along other items that float such as cooler, cushions, etc. Know what is in and under an open water area: Find out about hazards such as marine life, parasites, currents, drop-offs, very cold water, or submerged objects. Enter all unfamiliar water feet first. If the water is shared by boats, BE VISIBLE: Have your child wear a bright colored swim cap, stay close to shore, and actively watch for boats. Know what to do if your child falls in the river: Go downstream immediately to position yourself to help. Want to check your email?